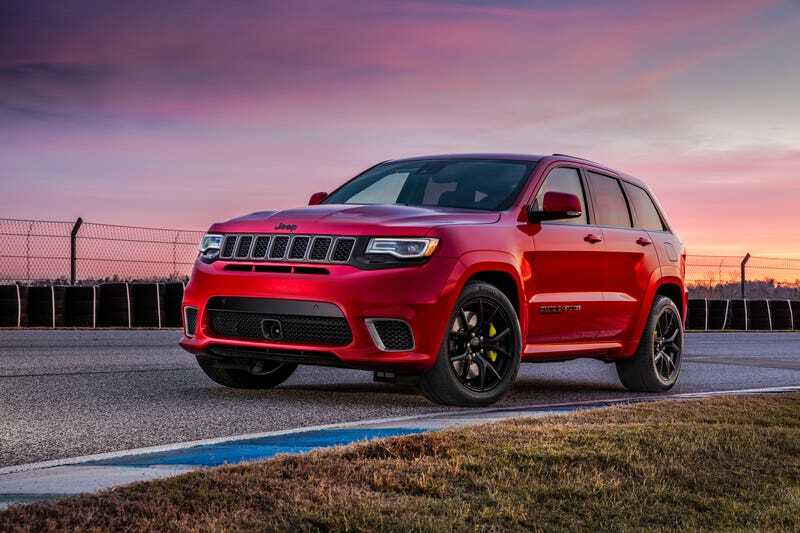 What Do You Want To Know About The 2018 Jeep Grand Cherokee Trackhawk? The promising thing about the Grand Cherokee Trackhawk is that it finally takes all that power from the hallowed 6.2-liter supercharged Hellcat V8, and sends it to four wheels (via a Quadra-Trac single-speed four-wheel drive system and a limited slip rear diff). This means that maybe, MAYBE those 295-section tires won’t light up with a slight touch of the gas pedal. We shall see. It’s a giant $85,900, 180 MPH SUV that can run from zero to 60 in 3.5 seconds, and also tow a 7,200 pound boat. Seems a bit absurd. What do you want to know about it?